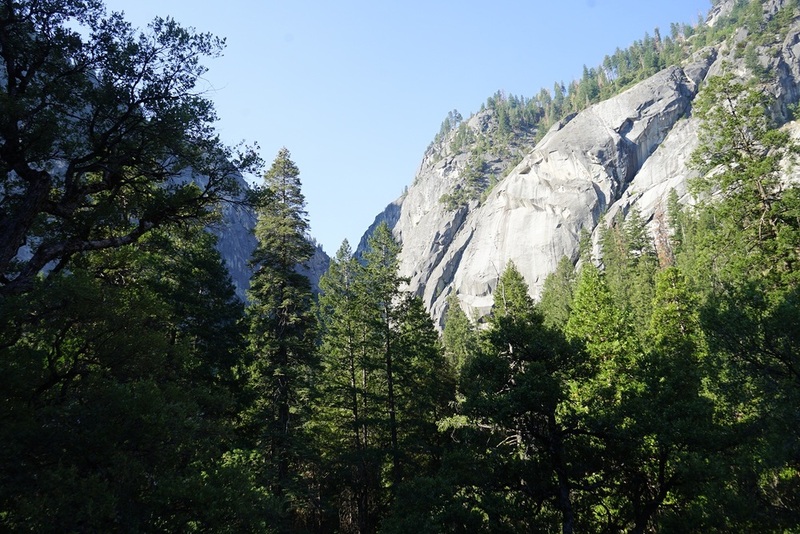 We only had a day to check out Yosemite, which meant choosing from the expansive assortment of trails within the park. 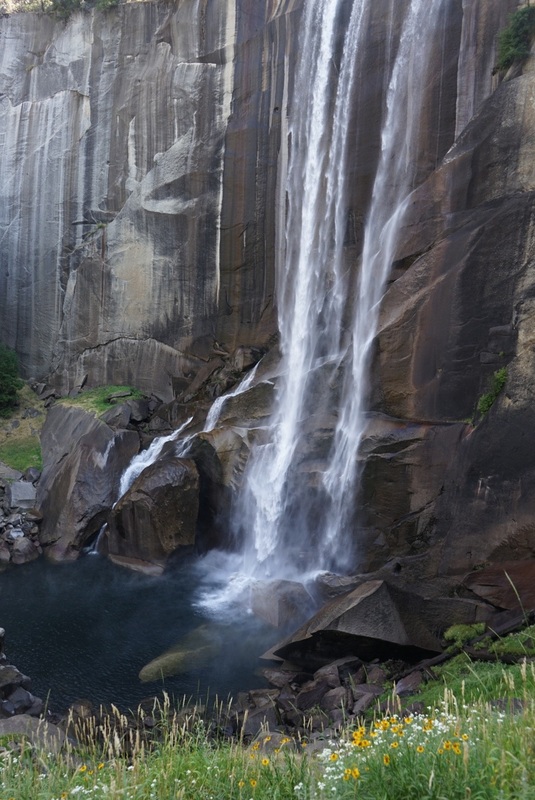 I came upon the Vernal Falls/Nevada Falls trail as one that is perfect for those who've never explored Yosemite before. 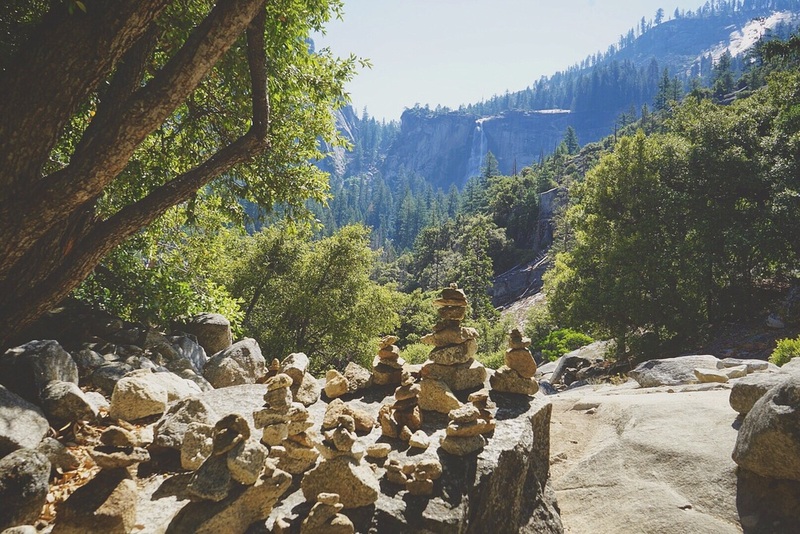 Although it is a rigorous hike, with much of it being uphill, completing it allows you to see classic Yosemite views such as the towering cliffs, waterfalls, streams and rivers. Getting to Vernal Falls and back takes about two to three hours, but you also have the option to keep going to another waterfall (Nevada Falls) or take a short cut to do a loop back. If you want to see Vernal falls or take any other trail for that matter, then I highly recommend camping the night before. To do so, you should reserve a camping spot a month in advance, especially if you're planning to do the hike on a weekend, during the summer or spring. We somehow got lucky and booked are camping spot in Upper Pines a day in advance, but that isn't a common occurrence. 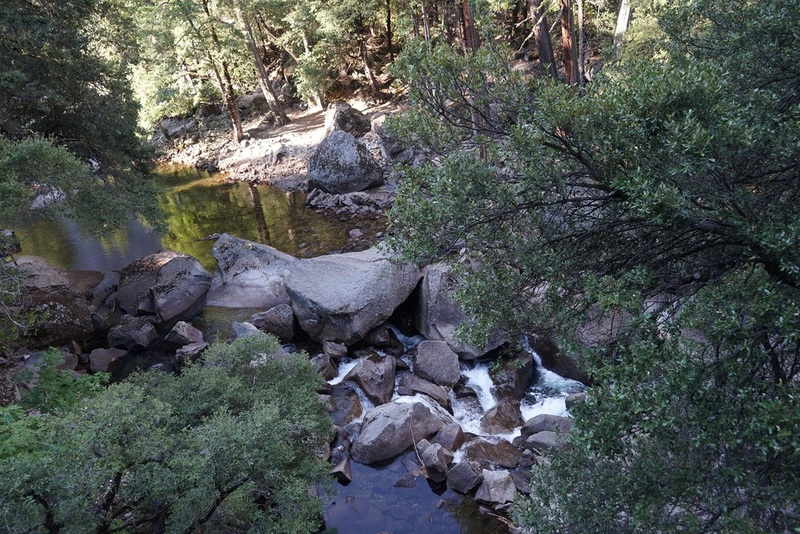 If you didn't book a camping ground then you can always try a no-reservation spot like Camp 4, but be aware that these tend to fill up by noon so get there early! Keep in mind that reserving a camp site is $26 and you also have to pay $30 to get into the park. You can try to reserve a campsite online here! The good news is that Yosemite has a massive grocery store right next to the campgrounds with all the food, water, drinks, and equipment you could need. The prices are surprisingly not terrible. Make sure that you get all the breakfast items, snacks and water you want the night before as the store doesn't open until 8am and I recommend starting your hike no later than 7:30am. All of the Pines (Upper Pines, Lower Pines, North Pines) campgrounds are really close to the Vernal Falls and Nevada Falls hike, as well as Glacier Point. Like I said, you should get a start on your hike no later than 7:30 if you're only doing Vernal Falls and 6:30am if you're doing Vernal and Nevada. It will be way less crowded and you won't have the sun beating down on you. We ended up leaving at 8am and still got swarmed with crowds on our way down. The hike is just 1000% times better when you can have your own space to enjoy the nature around you. 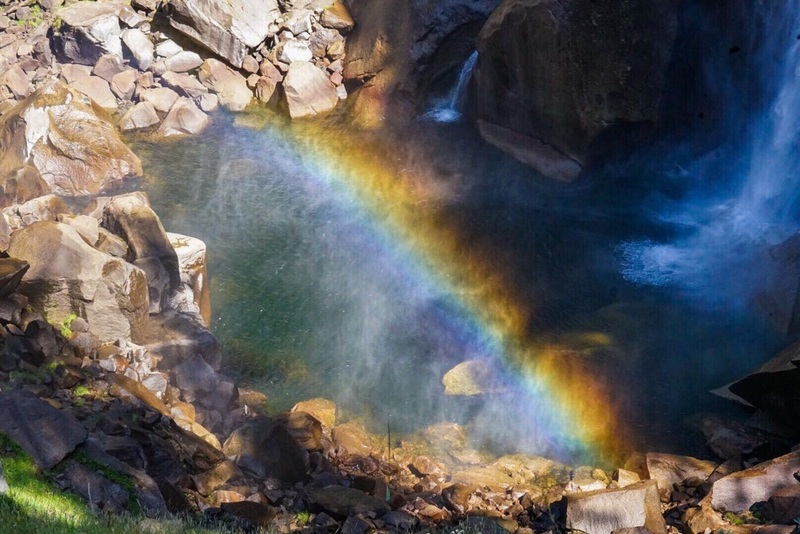 The Mist Trail will take you to Vernal Falls. You'll get an awesome view of the falls from below and then you can proceed to hike up to see the falls from the top. From there you have three options--heading back the way you came, cutting through and going back by the John Muir Trail or continuing on to Nevada Falls. We were short on time so didn't make it to Nevada Falls, which would have made the hike between 5 to 7 hours, but we still got a nice view of it when we walked through the cross-over to the John Muir trail. If you just want to come back the way you came, then be warned it's pretty steep so it can be hard on your knees. Also, make sure that before you do double-back you keep going a bit to check out the Emerald Pool, which is a beauty in its own right.